This week it's our turn to share a project with the kids make and bake club. If you like the video, we'd really appreciate a thumbs up and remember to subscribe to see a new video each week! You can also join the kids make and bake club facebook page. 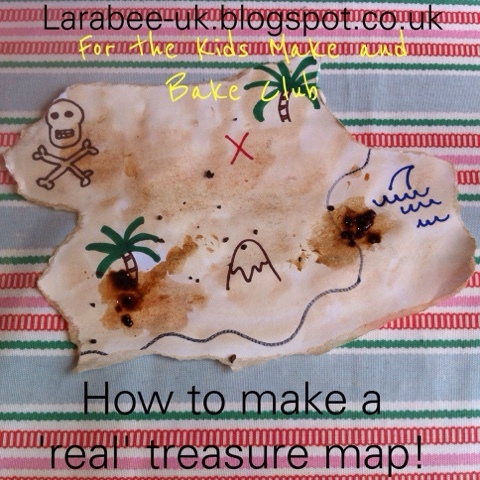 T has been making a 'real' treasure map this week. Love this - what a great idea for #trash2treasure. We'll be trying it out!